1st Quarter: 6. For Morning Service. First submitted Sunday, 22 April 2018 at 10:50:05 by Paul C Johnson. 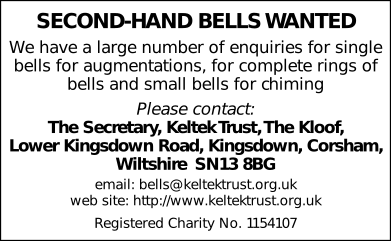 Sent for publication in The Ringing World on Sunday, 22 April 2018 at 10:54:46, and printed in issue 5585. This performance has been viewed 458 times.